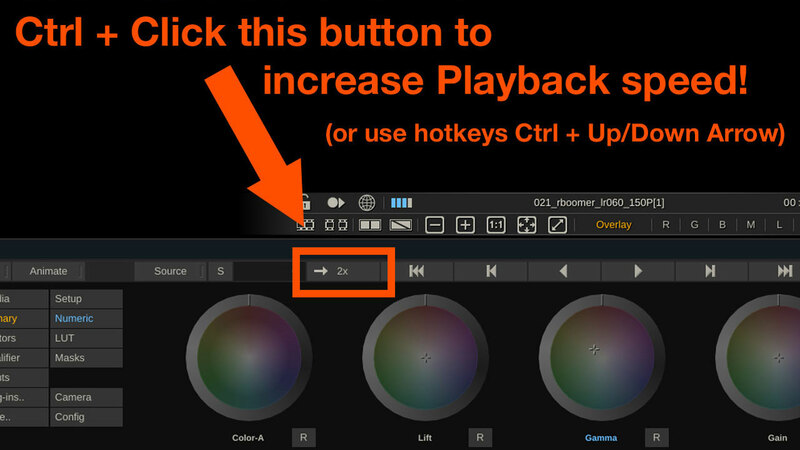 Here's how you can quickly change the playback speed of your timeline! 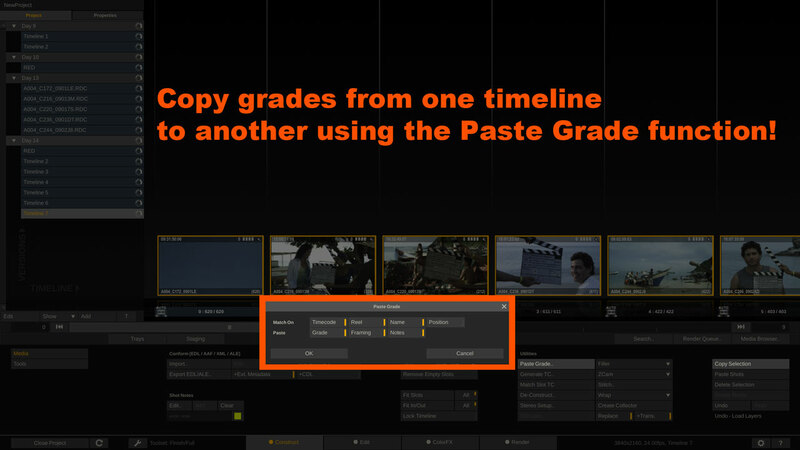 Learn how to quickly copy a grade from one version to another with a hotkey! 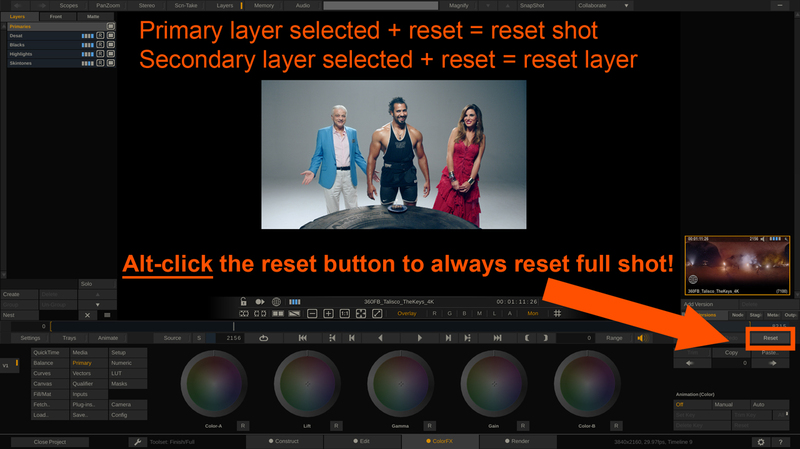 Learn how to quickly reset your full shot with a hotkey! 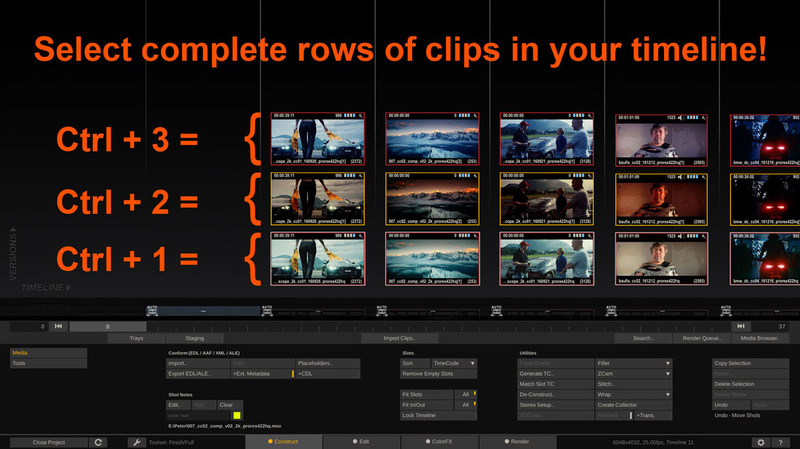 Use a hotkey to select complete rows of clips in your timeline. 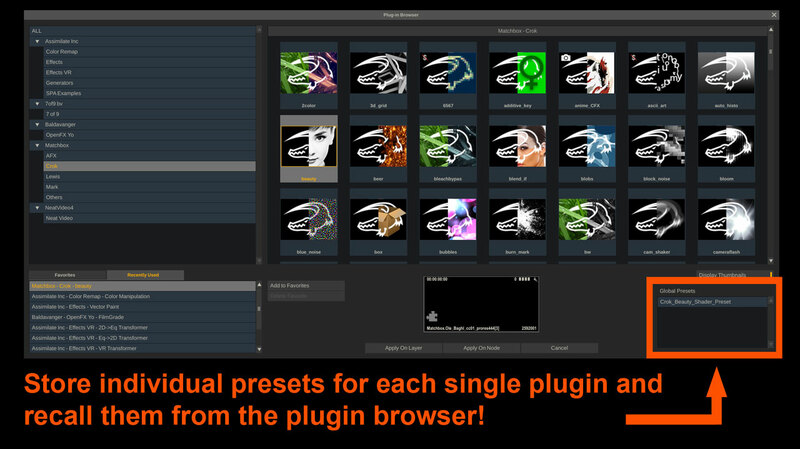 Save plugin specific presets and recall them directly from the plugin browser! 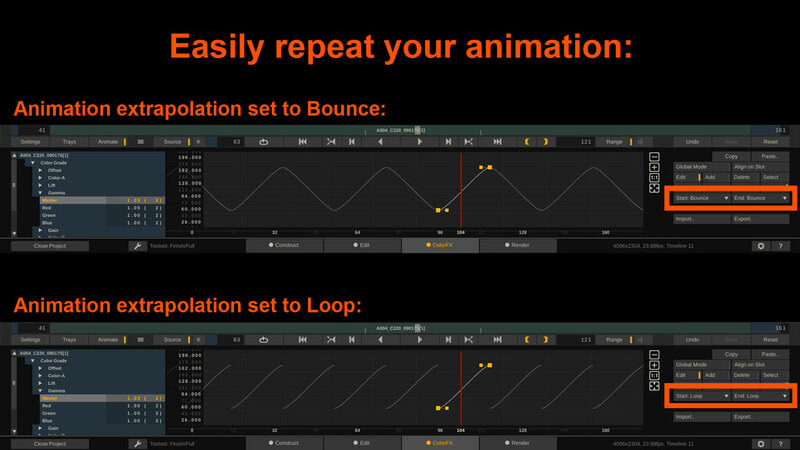 SCRATCH's animation editor makes it super easy to set your animation to loop, bounce, or linear instead of constant. 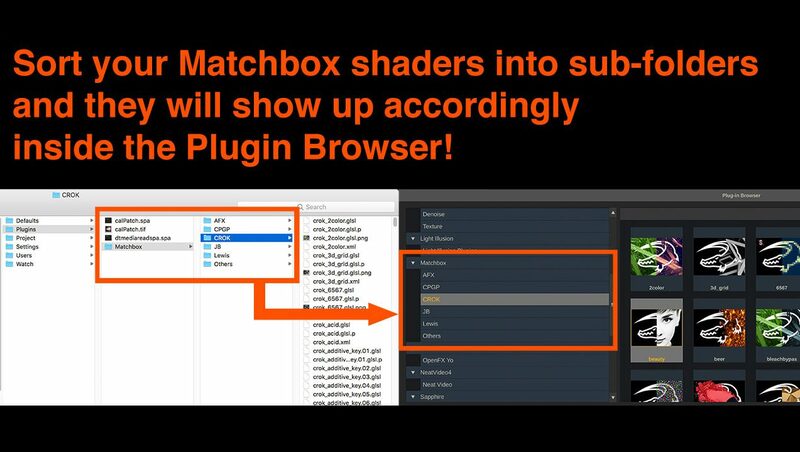 Matchbox shaders can create absolutely stunning effects and help you shape your images. Check this post on how to sort them properly! 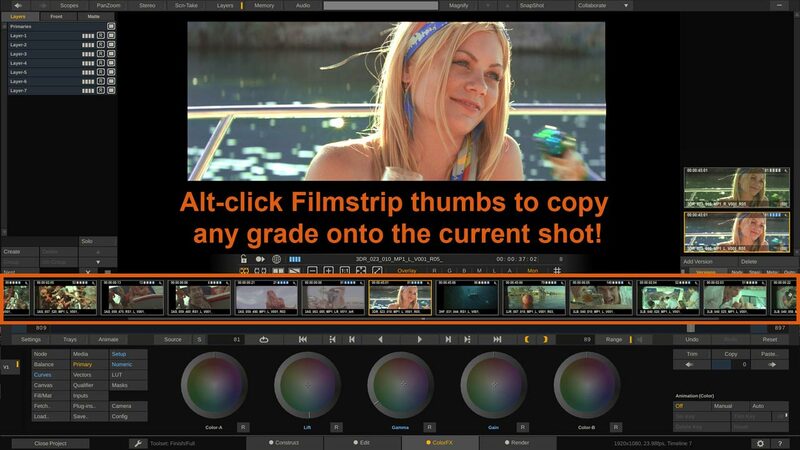 Quickly copy the grade of any shot on the filmstrip to your current shot by Alt-Clicking the thumbnail on the filmstrip! 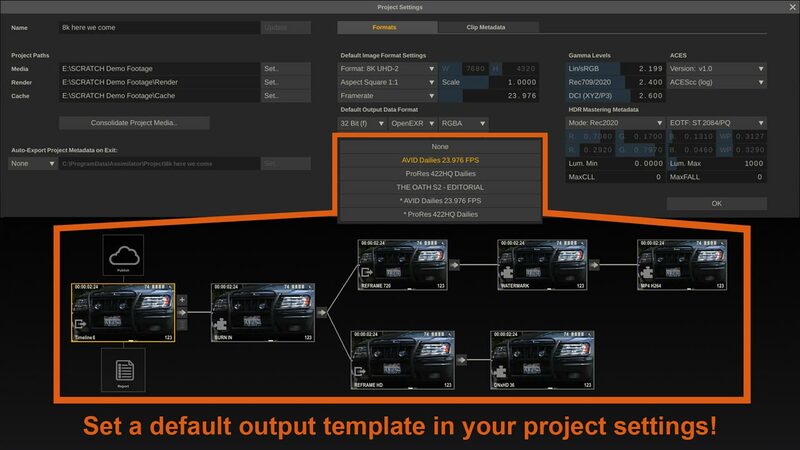 Instead of building your output tree for every timeline, you can save your whole tree as a preset and add it as a default in the project settings! 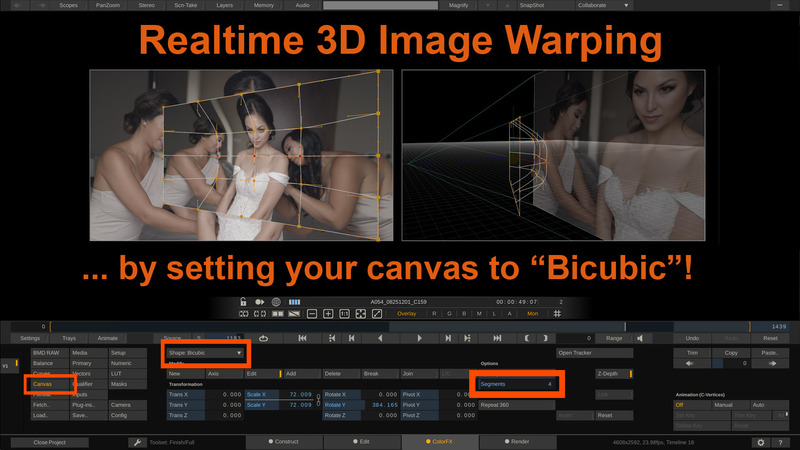 This is a really cool one that you won't find in any other grading/finishing app out there: Realtime 3D-warping! 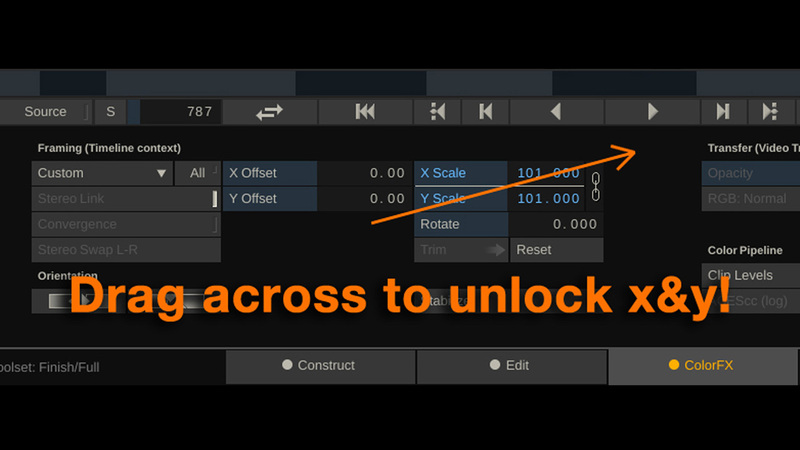 Did you know… that there’s a gestural way to un-gang X/Y-scaling? 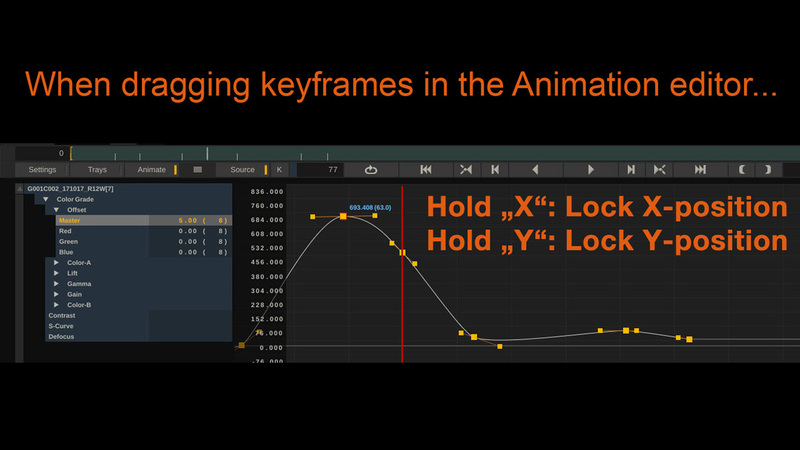 Did you know… that you can lock keyframe movements in the Animation Editor? 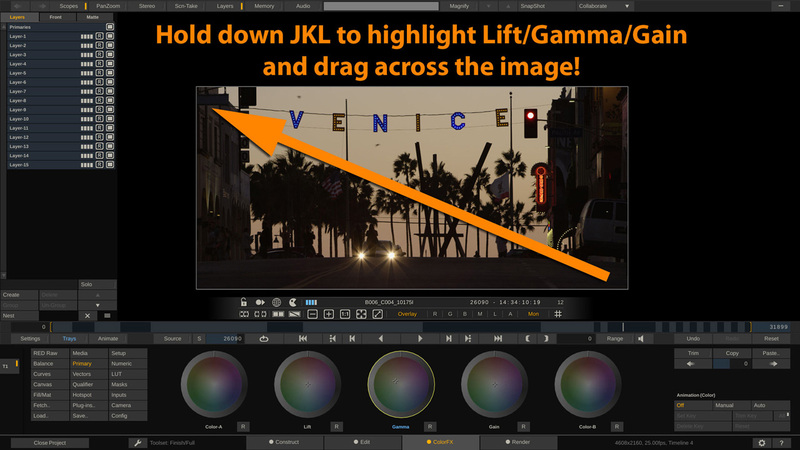 Did you know… that you can re-frame your shot using a hotkey? 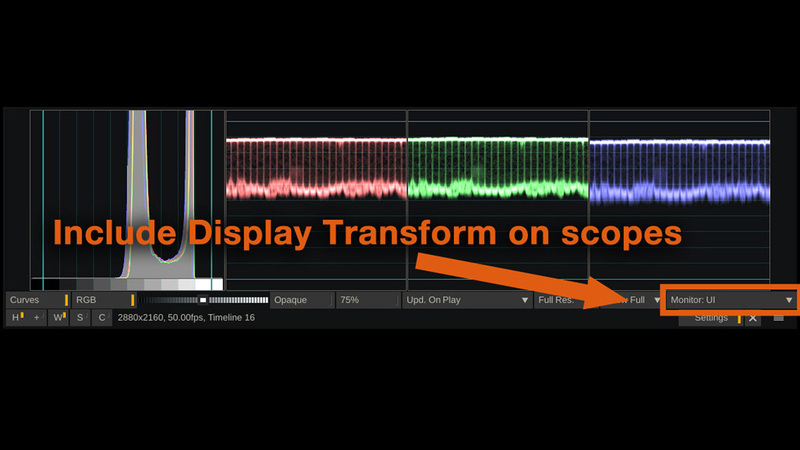 Did you know… that you can set your scopes to measure after the display transform? 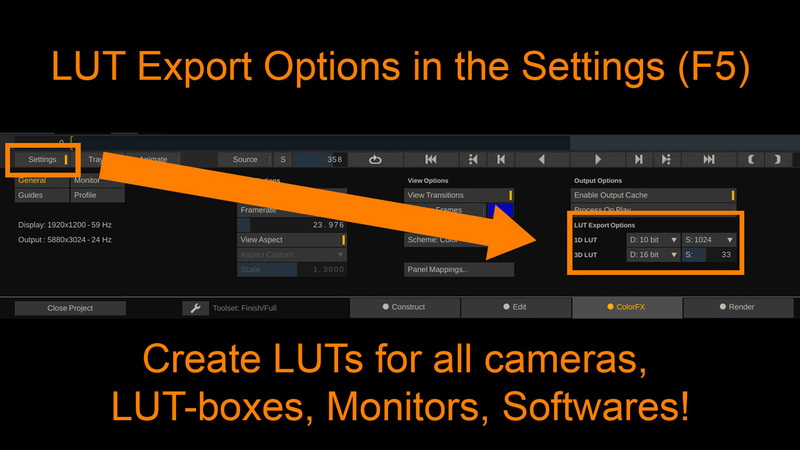 By default, the scopes in SCRATCH show the current clip in its native color space - read about how to let them monitor your UI- or SDI- display output! 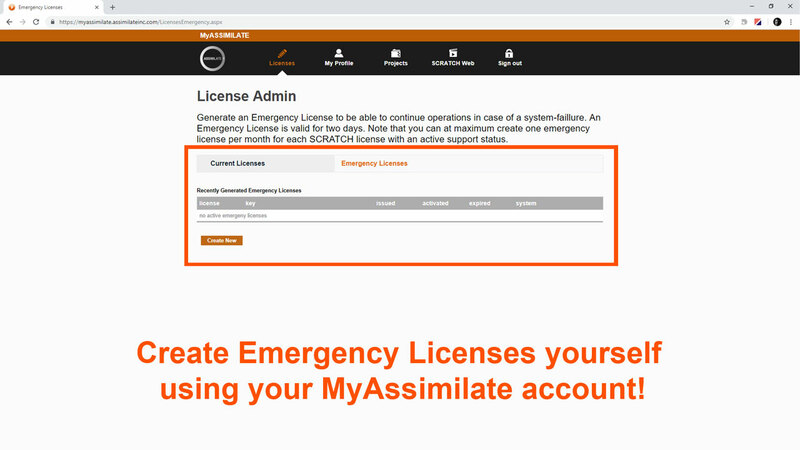 in case you do not have any control surface connected, or are working off a tablet! Did you know… that there’s super fast way to adjust your timeline settings? 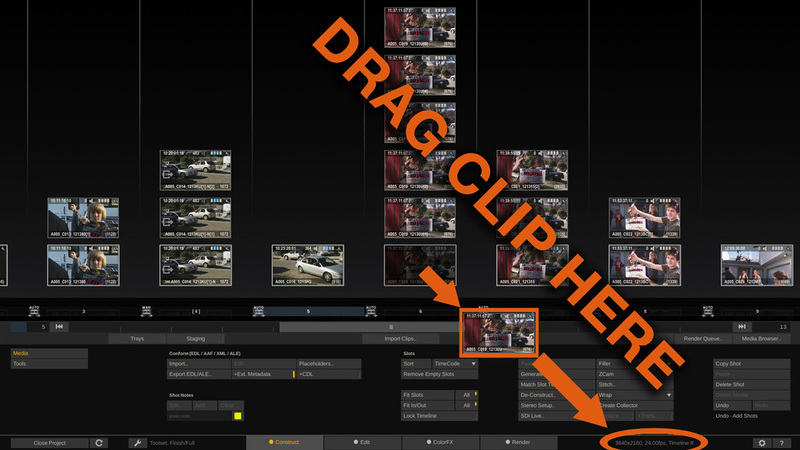 Often you want to make the timeline settings equal your clip properties. 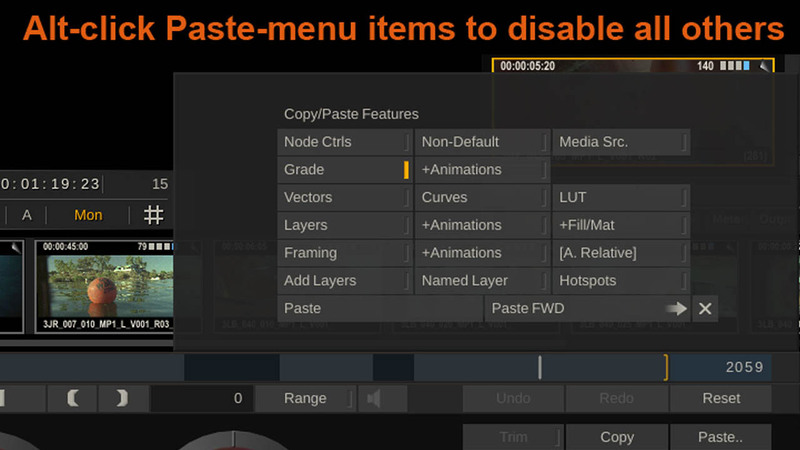 This can easily be done with a single drag&drop action! 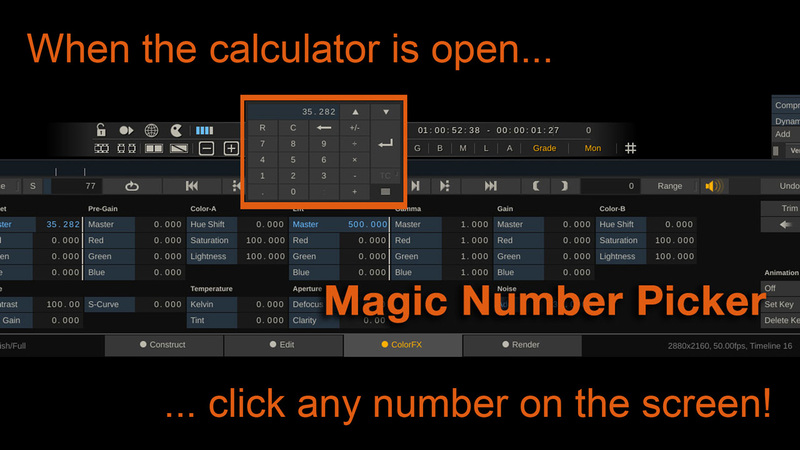 Did you know… that we have a magic number picker? Sometimes you just want to copy a certain value from one parameter to another. This can be easily done with the magic number picker! 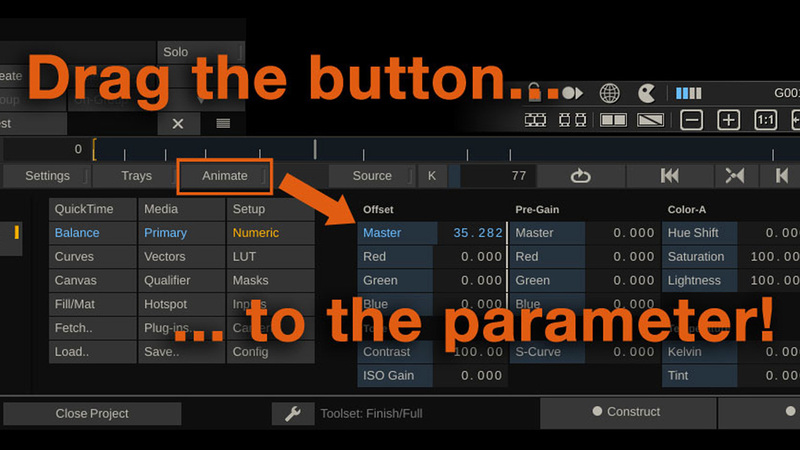 Did you know… that you can drag the Animate-button? Dealing with animation channels can involve a lot of clicking and sorting to find the channel you want to work on. 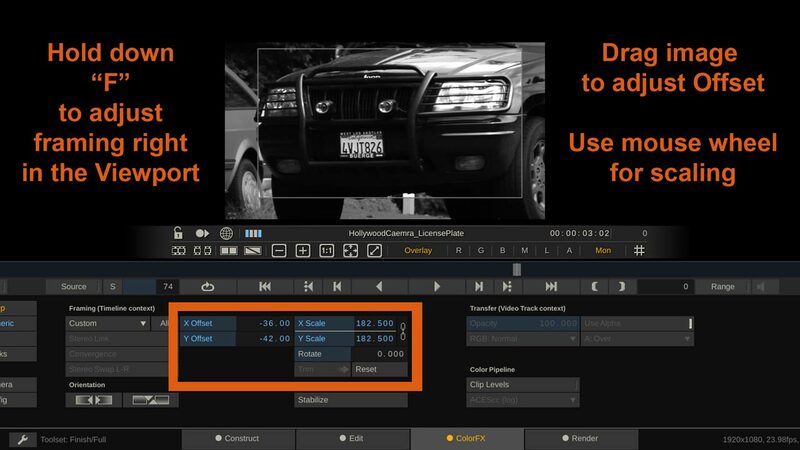 In SCRATCH there is a super fast way to get to the desired animation channel with just one click.